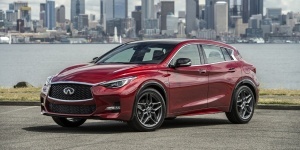 Powered by a turbo 4-cylinder, the Infiniti QX30 offers good handling and features seating for five in an upscale but comparably small cabin. AWD is an option. 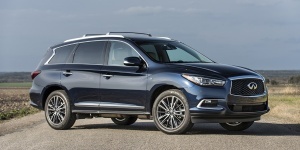 Powered by a 3.5-liter V6, the Infiniti QX60 features seating for seven. The QX60 is attractively styled, handsomely appointed, smooth, quiet, and well equipped.